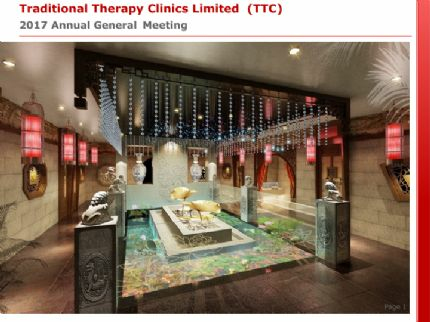 Sydney, Mar 15, 2016 AEST (ABN Newswire) - During its maiden year as a listed company, we are pleased to report that Traditional Therapy Clinics Ltd ( ASX:TTC) (TTC) delivered both business and earnings growth strategies set at the time of the IPO. TTC delivered $25.9m in earnings before interest, depreciation and tax (EBITDA) and $17.1m in net profit after tax (NPAT) result for FY2015. Operationally, we were pleased to open our 300th clinic during the year which was a significant milestone for the group. 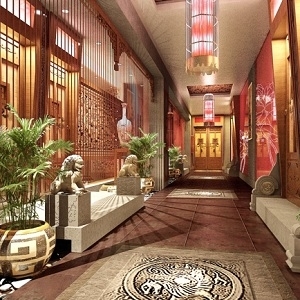 At the end of 2015 we are proud to have established 333 clinics throughout China. Importantly, during the year progress was made in delivering on our strategy to own a larger proportion of our clinics. Eight previously franchised businesses were acquired by the group taking total owned clinics to 19.